In its November/December 2013 issue, Michigan History Magazine published an excerpt from Hendrik Booraem V’s Young Jerry Ford: Athlete and Citizen entitled “Gerald R. Ford: The Scouting Years” (order it here, if you’re interested). Soon afterward, they received the following response from John Roscoe, which will appear as a letter to the editor in their upcoming May/June 2014 issue — and which they kindly gave us permission to reprint here. I am writing this letter in response to the article you wrote on Gerald R. Ford. I am a Boy Scout and I am currently working on my Communications merit badge. I found your article to be both educational and informative. The one fact that surprised me is that even though Kennedy was well known for his involvement in scouts, Gerald Ford was also involved and was an Eagle Scout. Everyone always says that John F. Kennedy was the first President to be a Scout. That is true however President Ford became a Scout on Dec 17th 1924 5 years before Kennedy. He became an Eagle Scout on Aug 2nd 1927 still 2 years before Kennedy became a scout. I am just glad that I was able to read your article and learn so much more on President Ford who is still the ONLY Eagle Scout President. Knowing that both presidents were active in scouting shows me the numerous possibilities I can obtain with hard work and dedication. Thank you again for providing me with the opportunity to gain this knowledge. 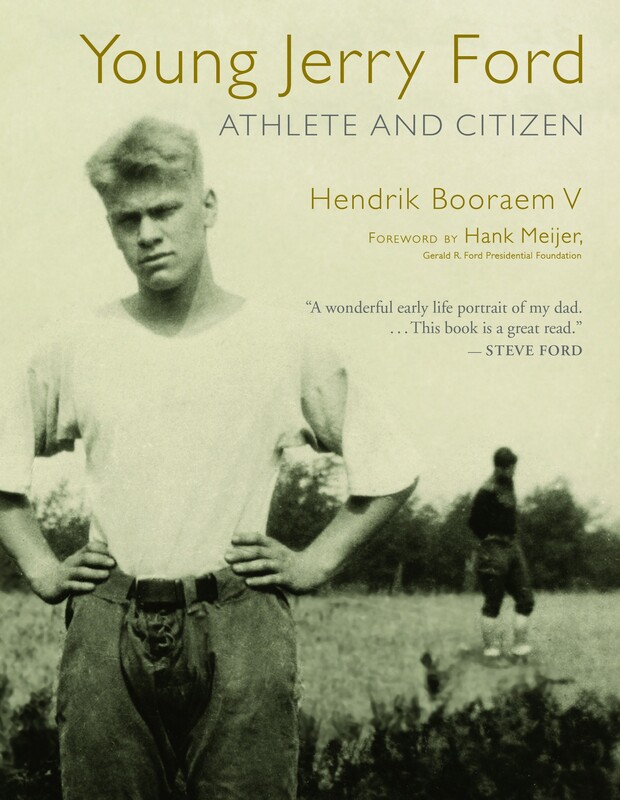 Click to order Hendrik Booraem V’s Young Jerry Ford: Athlete and Citizen.